Minmar Marine is New Jersey’s exclusive dealer of Kencraft Boats. Accompanied by our expansive inventory of pre-owned boats, Minmar Marine is your source for all boat buying needs. Does your boat need service? Minmar Marine employs factory certified technicians servicing Mercruiser, Mercury, Yamaha and Volvo-Penta engines. Minmar is also South Jersey’s Premier Yamaha Re-Power Center! Minmar Marine is proud to have the newest rental fleet in South Jersey. Rent one of our boats for the day, week, month or the entire season. Minmar Marine is a Yamaha key dealer and stocks engines ranging in size from 2.5HP to 350HP. Call us today to discuss a new Yamaha engine package. With our 115 available wet slips, inside and outside dry stack concierge service and our close proximity to Townsends Inlet, there is no better place for your boat than right here at Minmar! Interested in renting a wave runner dock? With over 50 available Wave Runner Slips, using your Wave Runner has never been easier! EZ-Port is the simplest drive-on, push-off method of dry docking so you can enjoy your time on the water! 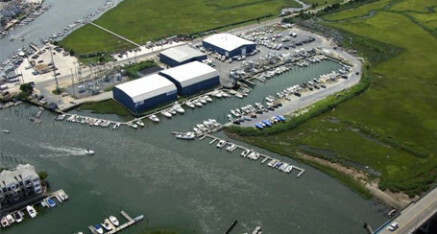 Minmar Marine is a full service marina with the services and amenities to accommodate every boater. With a first rate service department employing Yamaha, Mercury, Mercruiser and Volvo-Penta Certified Technicians, Minmar Marine is on the cutting edge of servicing and repairing today’s modern marine engines. Our facility also boasts indoor and outdoor dry stack services and the capability of hauling boats up to 45’.